limestone, granite, coal, slag, clay. 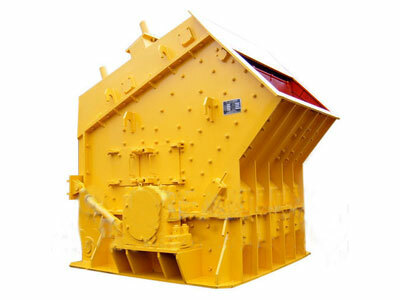 This series of impact crusher is used for the crushing of coarse, medium and fine materials such as granite, limestone and concrete with feeding granularity less than 500mm and compression strength less than 350MPa in many industries such as ore crushing, railway, highway, energy, cement, chemistry and constriction. 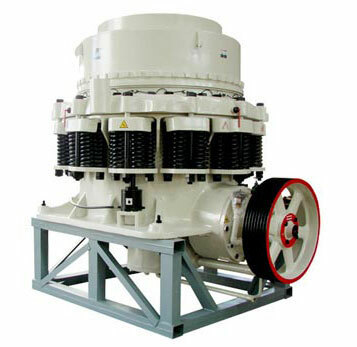 The size of the discharging granularity is adjustable with diverse crushing specifications. 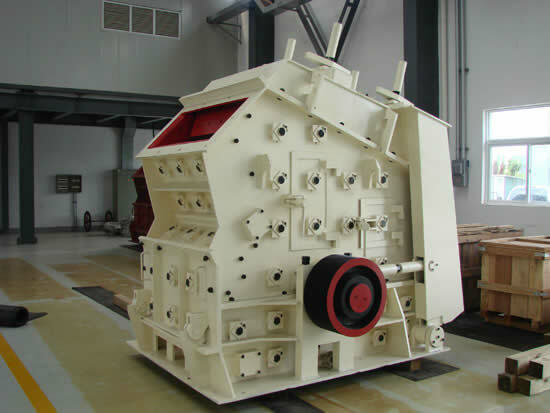 This series of impact crusher is applicable the processing of the materials. Its length of a side is below 100~500mm and maximum compression strength is 350Mpa with the advantages of big crushing chamber. The crushed materials are adopted in the form of cube so that it is suitable for crushing medium hard materials such as limestone in cement plant, which has such advantages as big production ability and small discharging granularity. 2. The gap between the impacting plate and the plate hammer is convenient for adjustment so that it can effectively control the discharging granularity with good particle shape. 3. It has compact structure and strong rigidness, and the rotational inertia of rotor is very big. 4. High chromium plate is adopted so that it has shock resistance, abrasion resistance and big impacting force. 5. No key links is adopted for convenience of maintenance and repair. In addition, it is very economical and reliable. 6. It is featured with comprehensive crushing, high production ratio, small abrasion and high comprehensive benefits. Impact crusher is a kind of crushing machine which is used for crushing of materials by using impacting energy. When the machine works, it drives the electro motor. The rotor will rotate with high speed. When the materials go into the action zone of the plate hammer, they will be struck and crushed on the plate of the rotor, and then crushed again. After they are thrown to the impacting device, the materials will bounce back from the impact lining board and go to the action zone of the plate hammer and are crushed again. This process will be proceeded repeatedly, and the materials go into the first, second and third impacting chamber to be crushed until they are crushed to the required granularity, and then discharged from the discharging mouth. Adjust the gap between the impacting rack, and the rotor can change the discharging granularity and the shape of the materials. If ore sample is provided by customers, we may do free spectrum or other testing. The testing reported is conducted by Mineral Prospecting Institute, and ranks the top in China. According to requirements for final products, we may provide free reagent ratio and dosage to customers. After knowing detailed information from customers, our technicians will provide the workflow and configuration for free. Our technicians will provide local design, layout, and tailing design for free after knowing detailed area of customers. Our engineer may provide 10 day’s training and guidance for free if necessary (including operation of machines, working notes and maintenance). Copy Right: Henan Hongke Heavy Machinery Co., Ltd. All rights reserved.